No southern garden is complete without a number of the beautiful flowering trees. The region's long growing season gives the gardener numerous choices, each offering its own brand of seasonal interest and color. A few of these are so synonymous with the Deep South, they're considered classics. The magnolia is as much an iconic symbol of the South as the mint julep. 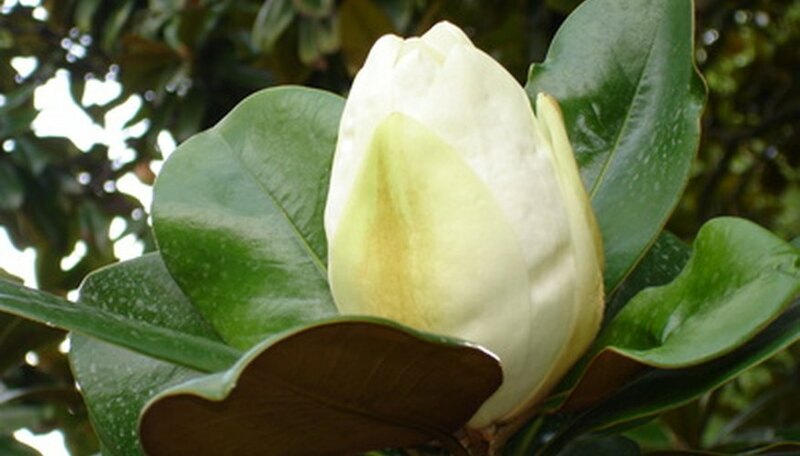 The most common variety is the Southern Magnolia (Magnolia grandiflora), which is evergreen and grows to a mammoth mature height of 60 to 80 feet. Its glossy green foliage is set of by large white blooms in the spring. This variety is best planted in the early spring. If your landscape can't accommodate a tree of such grand scale, there are smaller cultivars available, such as Bracken's Brown Beauty and Greenback. There's even a shrub-sized version known as the Little Gem magnolia. Adding to the splendor of a Southern spring is the flowering dogwood (Cornus florida). This smaller ornamental tree is typically grown underneath the canopy of larger trees, which provide the dogwood with shade. It can tolerate the sun, but when grown in full sun, it is usually more compact and slower-growing. The flowering dogwood can be trained to grow on one central trunk, or as a multi-trunked specimen. Pruning should be done after flowering, but before next year's flower buds are set in the mid-summer. A flowering dogwood can be a lovely addition to planting beds or lawns where a horizontal element is desired. In 1912 our nation's capital received over 3,000 cherry trees as a gift from the mayor of Tokyo, Japan, which found a home on the National Mall. The lovely trees are now a fixture of springtime in Washington and their fame has spread throughout the Upper South. 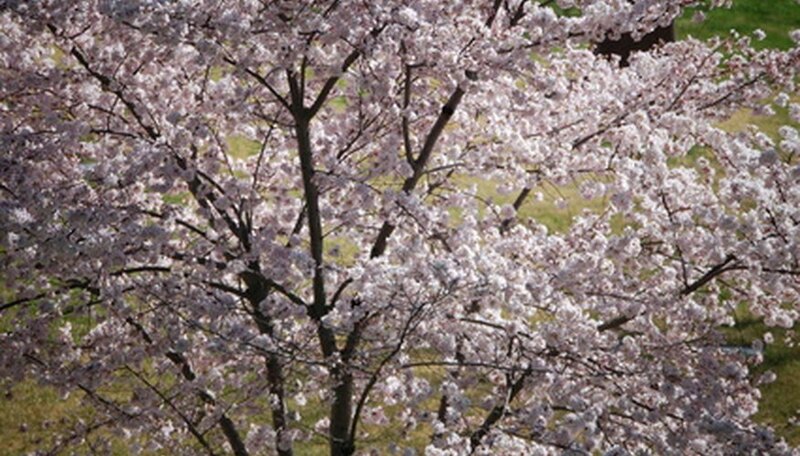 Although the original gift included 12 different varieties of cherry trees, the two which dominate the landscape in today's Tidal Basin are Yoshino (Prunus x yedoensis) and Kwanzan (Prunus serrulata). Although there are several varieties of flowering cherry trees, the Yoshino seems to be among the most reliable in the Southeast. With pink or white flowers, it can reach anywhere from 25 to 50 feet high. 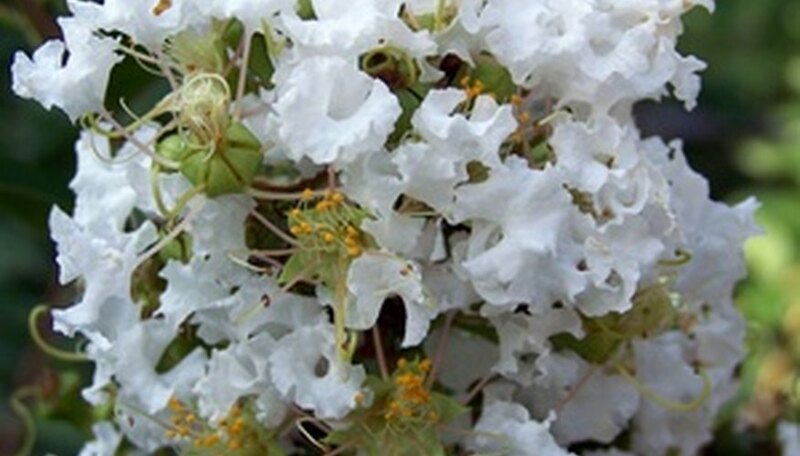 Unofficially dubbed "The Official Landscape Tree of the South," the crape myrtle (Lagerstroemia indica) reached massive popularity because of its long bloom period and easy care. These trees also come in a variety of sizes and colors, ensuring that you can find one that works in your lawn or garden. New cultivars have been developed in sizes from 3 to 20 feet and also boast improved cold and disease tolerance. Crape myrtles are drought tolerant once established, but will perform better during bloom time if water needs are met. The trees also need to be pruned in the late winter or early spring, before new growth starts showing. Avoid a blunt cut on your crape myrtle's main limbs, which can result in knobby, unattractive growths when the new shoots emerge. In landscape circles, this is jokingly known as "crape murder." The crabapple tree (Malus sp.) is another dazzling spring bloomer that offers the added benefit of--you guessed it--crabapples. 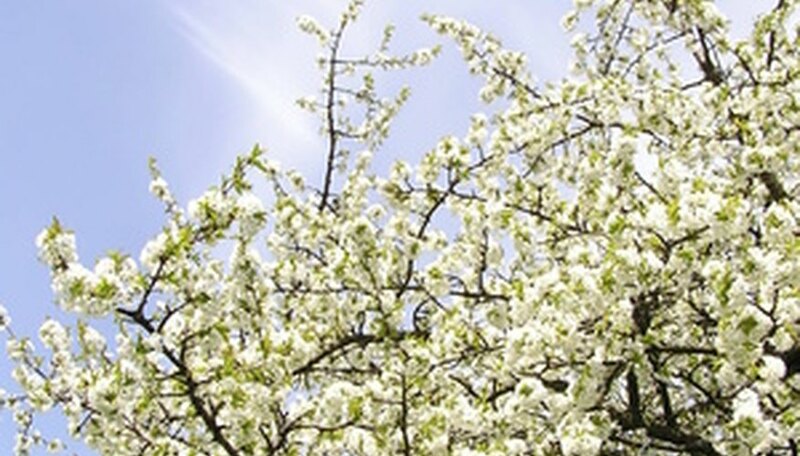 A small-to-midsized tree, crabapples come in varieties that offer a range of sizes and shapes. Crabapple trees give year-round interest. 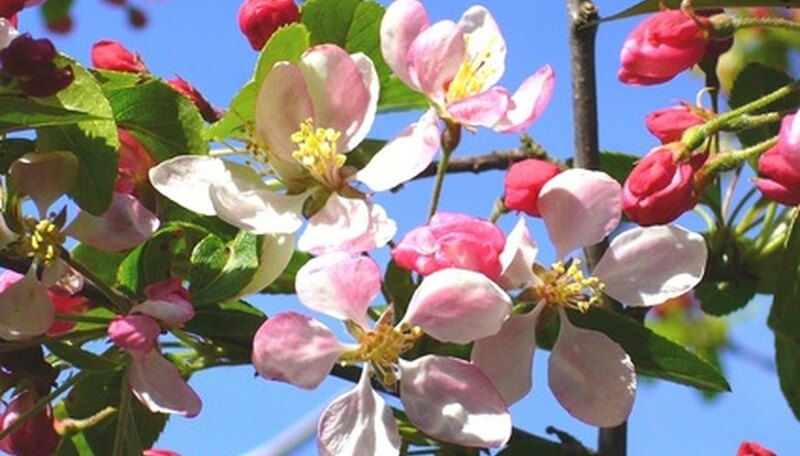 After the blooms of late spring, the tree offers beautiful foliage, followed up by the autumn fruit. The fruit (which is only considered a true apple if it reaches a size of two inches in diameter) is notoriously tart, but often used in jams and jellies. Dana Hall McCain is a freelance writer based in Dothan, Ala., and is a a regular contributor to numerous regional publications. She writes features and columns on a variety of topics, including the outdoors, faith and health/wellness. She received a Bachelor of Arts from Auburn University in public relations/communication in 1995.